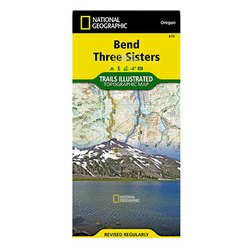 National Geographic Navigation Maps help you find your way to the most beautiful mountains for climbing and backpacking, interesting cities and favorited national forests with ease. Explorers love the unbeatable detail and information about the most appealing wilderness locations contained in National Geographic Maps. Updated frequently, the new maps also feature up-to-date road and park information, even in very remote locations. Nothing compares to the open road, and the National Geographic Maps USA Road Atlas will take you to all the best adventuring locations in the US via car. It also contains information about Canada, Mexico and Puerto Rico. The spacious 11-inch by 15-inch pages provide plenty of detail on roads, natural features and parks. The National Geographic Road Atlas also shows detailed information about major US cities and provides useful information on stunning national parks for camping and exploring. If you like to travel and adventure in North America, this atlas is essential for planning your trip and finding the way to each location. It has 144 pages with no useful details spared. This is an atlas you will want to take everywhere. Oregon is a beautiful state with national parks, forests, recreation areas, small towns and urban areas. 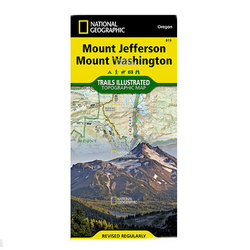 With the National Geographic Maps Benchmark Oregon Atlas, you can easily navigate to the best sites in the state for sightseeing or whatever activity you choose. The atlas comes with a recreation guide, just in case you need ideas for new places to explore. It also features large landscape maps that are field-checked for accuracy, as well as an exquisitely detailed map of the fascinating Portland Metro area. The book has a generous 11-inch by 15-inch flat size, so you will not need to squint at the pages. Maps are a timeless navigational tool. Modern maps are extremely accurate and have excellent print quality with easy-to-follow legends. While many people nowadays also navigate via electronic GPS systems, paper maps have a classical appeal. They also work without power, so you can take them anywhere. They are a lifesaver when you forget your charger or when your phone, laptop and GPS batteries run out in the middle of nowhere. Traveling to remote areas can be intimidating, but a good map allows you to plan ahead and keep track of your location as you move. With all of their experience in adventuring to the most remote areas, National Geographic knows exactly what to include on its maps for safety and the best outdoor adventures. The brand's maps are checked for accuracy and updated as roads, recreation areas and parks change over time. No matter where you are going or what you like to do, keeping some National Geographic Maps in your car or backpack is never a bad choice. 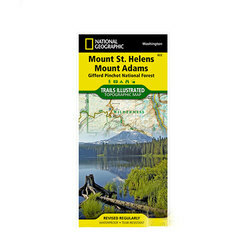 Whether you want to explore your home state or travel far away, National Geographic Maps have you covered.